It is election night in Australia, and exactly the time to share something hopeful. Thanks so much to Mia Holton for capturing this inside eye to the provocations and celebrations of artists working side by side with children – each informing the other, and to Brett Smith for so generously composing the soundtrack. 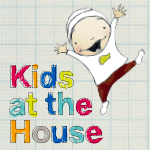 BIG Kids Magazine Launch event from Jo Pollitt on Vimeo. Into the Dark – the cover revealed! 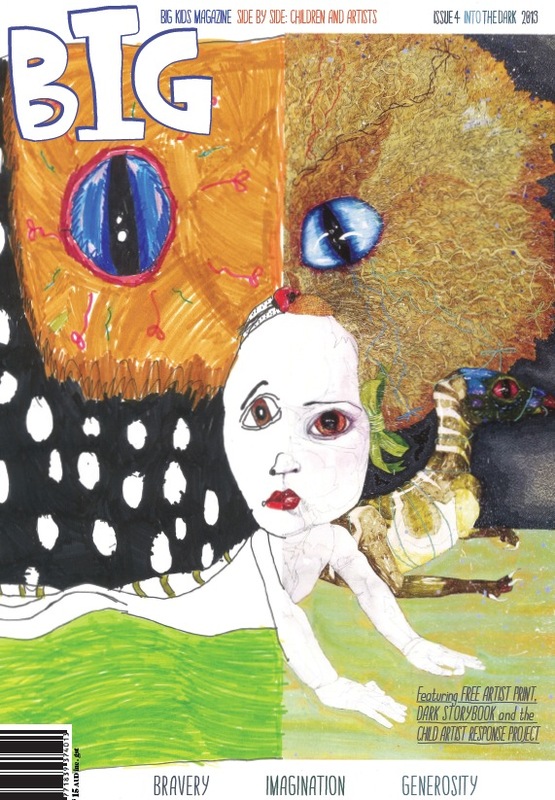 With only WEEKS until we hold Issue 4 – Into the Dark, in hand, we are thrilled to reveal the cover by 2013 Archibald Prize winner Del Katherine Barton and her daughter Arella, age 7. There are a few surprises hidden in the heart of this landmark edition of BIG Kids Magazine so SUBSCRIBE NOW to secure your spot in the first mail-out in June! After an incredible climb, we have just finalised design on Issue 4 – INTO THE DARK. We are now slowly adjusting to the light again after long nights and days and weeks (and months!) of decision-making, limit-pushing and last minute landings. PHEW! INTO THE DARK has arrived as a clear marker of development and consolidation for BIG. After over two years of working together we both feel this fourth issue is the culmination of so many of the initial ideas and hopes we had for the BIG pages. We are so excited by the contributions, the artists and the growing work between us, that the anticipation of holding it in our hands feels like the first time. It takes a very long time for projects of these proportions to grow into themselves and we feel as though we are again standing at the beginning of everywhere we want to go. Click here to see our call for contributions! 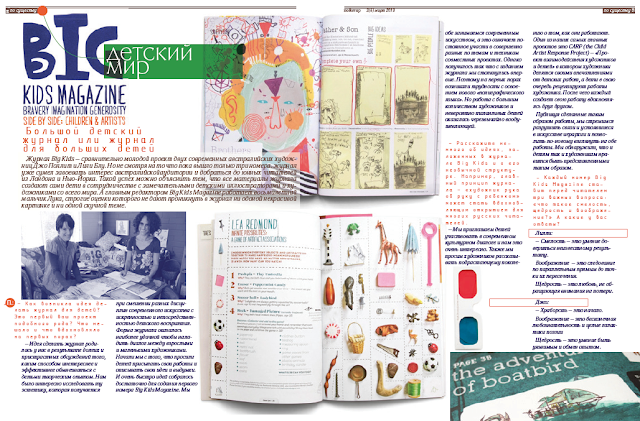 Our far away friends Margarita and Ilya, from the design studio Zilasaule, interviewed us for a Russian illustration and design magazine called Pointer. Incredibly exciting to see BIG stories flying literally all over the world! As a child my stocking always contained reading material among the goodies to help me make it to a reasonable waking hour ;) Early start or not, we can promise side by side snuggles over stories and art inspired board games perfect for holiday play. Subscribe here by 8am (EST) on Tuesday 18th to meet the Christmas mailout (Australia)! 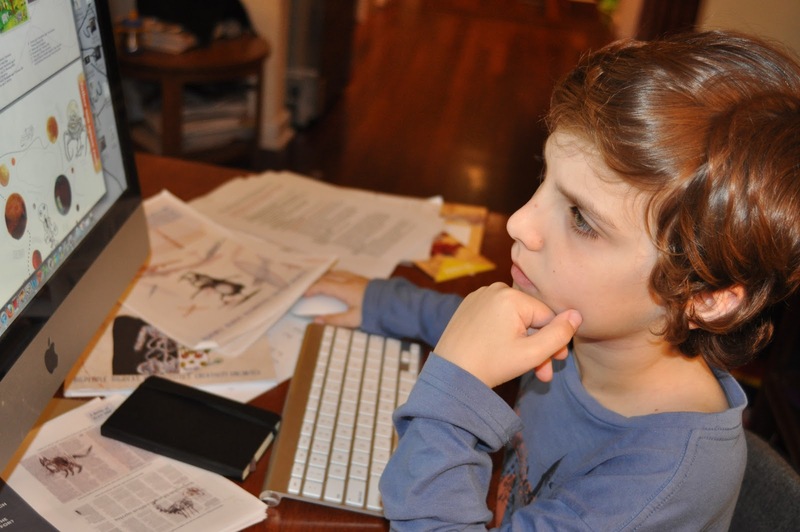 Senior ed, Luca, age 9, perusing the BIG pages in final production week of Game On! If you subscribe to issue 2 and 3 you will receive BOTH Treasure Maps AND Game On! for christmas. If you subscribe to issue 3 and 4 you will receive Game On! for Christmas and Into The Dark in May next year. You can also purchase single issues. 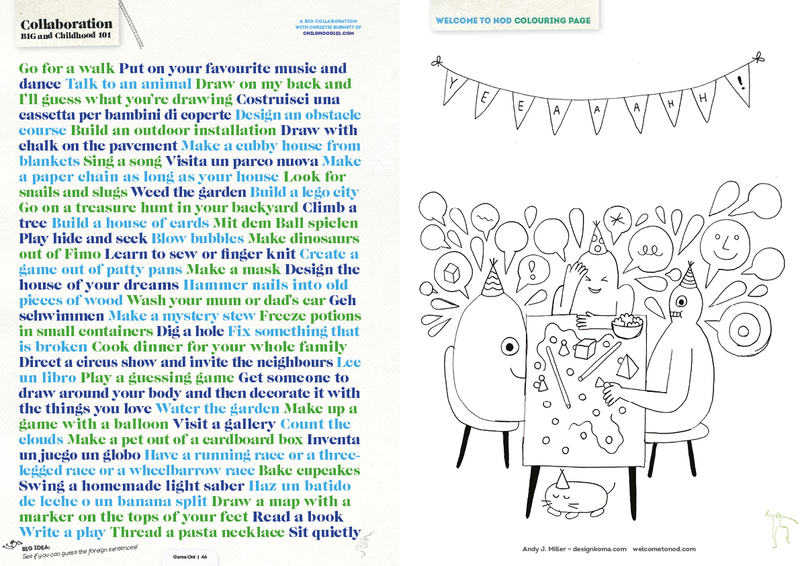 Each BIG mag mailed comes with a free ‘side by side’ postcard to complete and send to a loved one :) All subscribers until Feb 1st 2013 will be in the running to win a Mini and Maximus goodie bag AND see a copy donated through our one for one scheme. Of course if you miss the Christmas mail date you can always run out to one of our fabulous stockists…including most of the major art gallery’s in Australia and brilliant bookshops and storefronts. 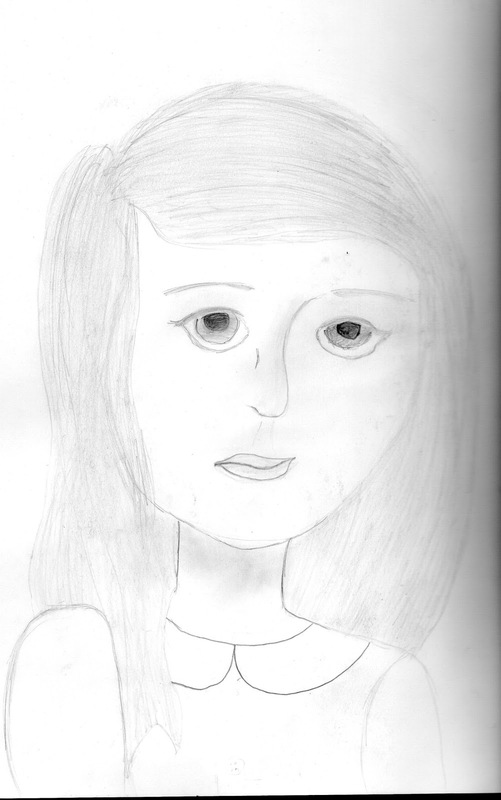 Self portrait by Ruby, age 13. This year I started at a very big, very busy place, this place is called high school. Coming from a school with 59 students I wasn’t sure how a place with over 1000 students worked (especially ones who were so much bigger than me). There were only 5 year sixes whenI graduated primary. When I started high school I knew one person. Over thecourse of the year I have tried to find a ‘best friend’, I have made lotsof ‘just friends’ along the way. Turns out, my best friends are all still at my primary school. My best friends are both in year 5. I just really want kids everywhere to know that its ok not to have your best friend at school with you. Your best friend doesn’t have to be the same age,same look, live in the same area. Nothing! Your best friend is the person who laughs with you, smiles with you and has a great time with you. One of the most important things to me is that kids everywhere know that its ok to be friends with whoever you like, regardless what other people think. Bravery is…the courage to say what you think and letting nothing stop you from doing what you think is right. Imagination is...seeing thinking nobody else would dream of. Generosity is…helping people be brave and imaginative. 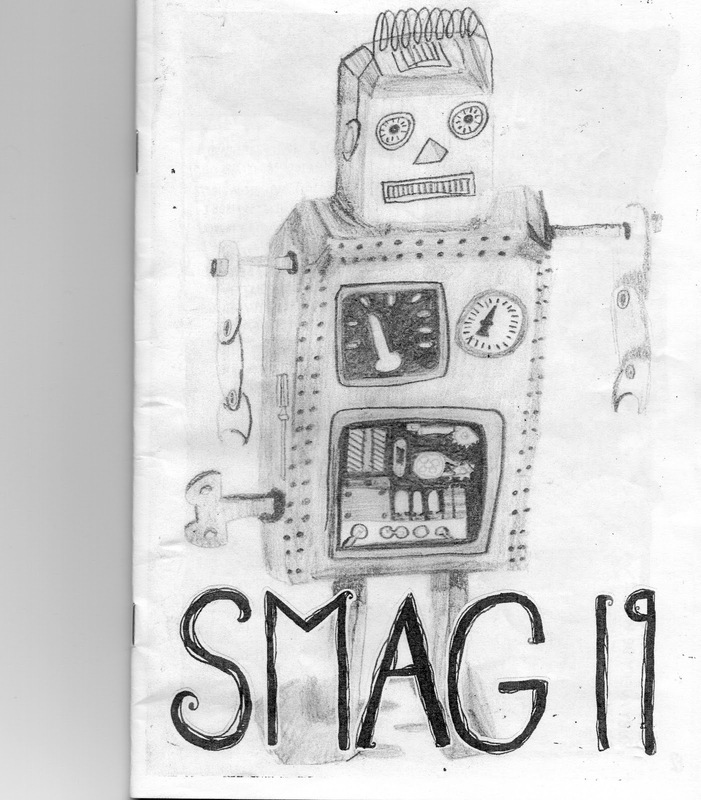 Launch of Issue 3 – GAME ON! At last, envelopes are sealed and the first batches of subscriber copies have been sent out across the world. As from today the Game On! 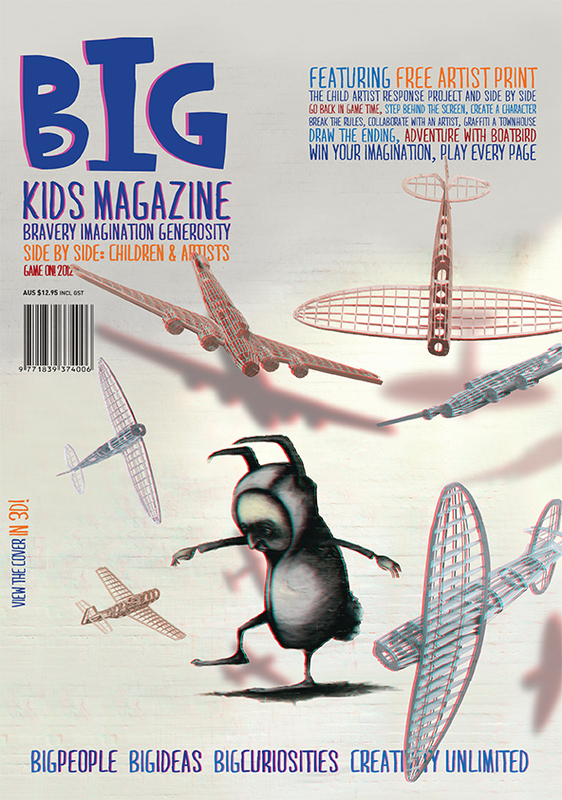 edition of BIG Kids Magazine is also on the shelves of most of our stockists and available direct from our website. This feat is nothing short of a miracle in our mother/artist worlds and our unwavering creative collaboration continues fervently despite late night tantrums (mostly our children’s, sometimes ours! ), ridiculous work loads and unexpected disruptions. Game On! 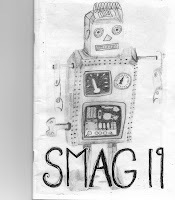 was themed at the request of our ‘senior’ editor Luca, age 9, who has given it the BIG thumbs up. 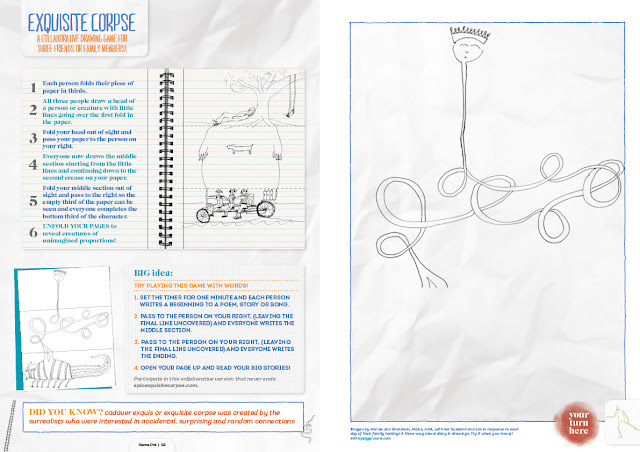 The pages were created by Jo Pollitt and Lilly Blue with the help of a BIG team including our BIG kids editors Luca, age 9, Pippa, age 11, Jonah, age 11, Zali, age 12 , Ruby, age 12, and Twyla, age 3. 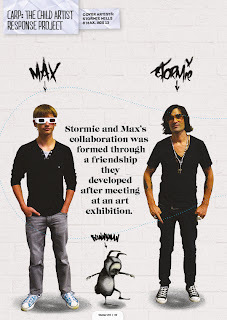 It features the work of well known Australian artist Stormie Mills and Max, age 13 who collaborated on the cover. 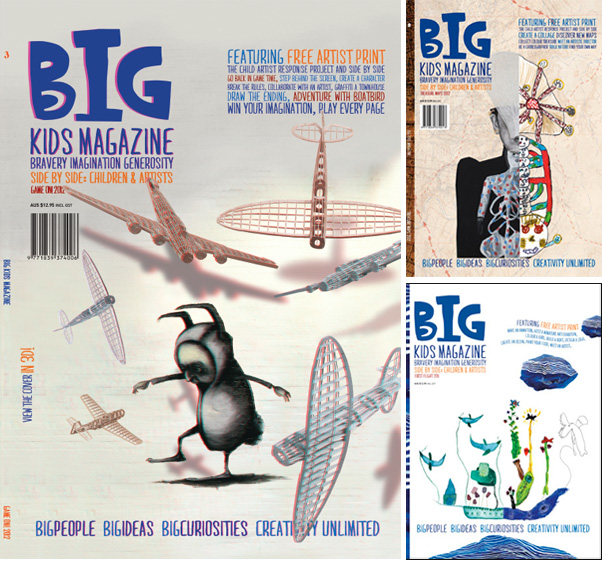 BIG publishes the work and ideas of children and artists side by side. We are thrilled to introduce to you the extraordinary contributors featured in Issue 3 – Game On! Campbell Whyte is an illustrator and artist based in Perth, Australia. He is the featured artist in our ‘Grown and Growing’ interview series sharing his obsession with nintendo and comic creation alongside our senior editor game guru Luca, age 9. 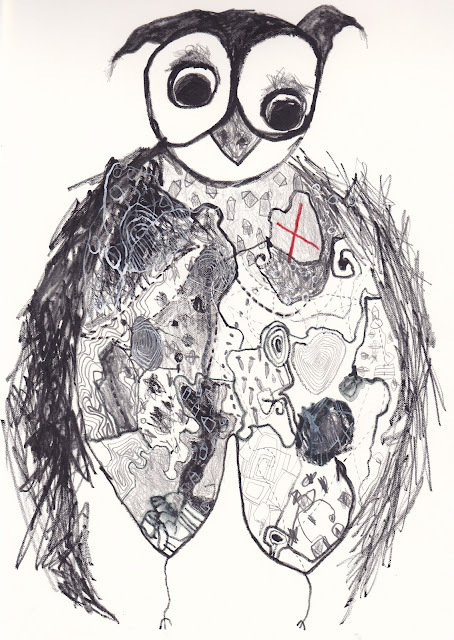 Mr Spoqui is a zine created by 4 siblings living in Lisbon, Portugal. Tiago, Blanca, Milena and Amanda meet on a shared page to discover new places and people, share memories, knowledge and inspiring worlds from around the world. PICA (Perth Institute of Contemporary Art) is a gallery in Western Australia and location of Spark_Lab – a learning arts program designed to grow innovators of the future. Andy J. Miller created our very cool colour page (see preview below) and is a full time illustrator based in Columbas, USA. 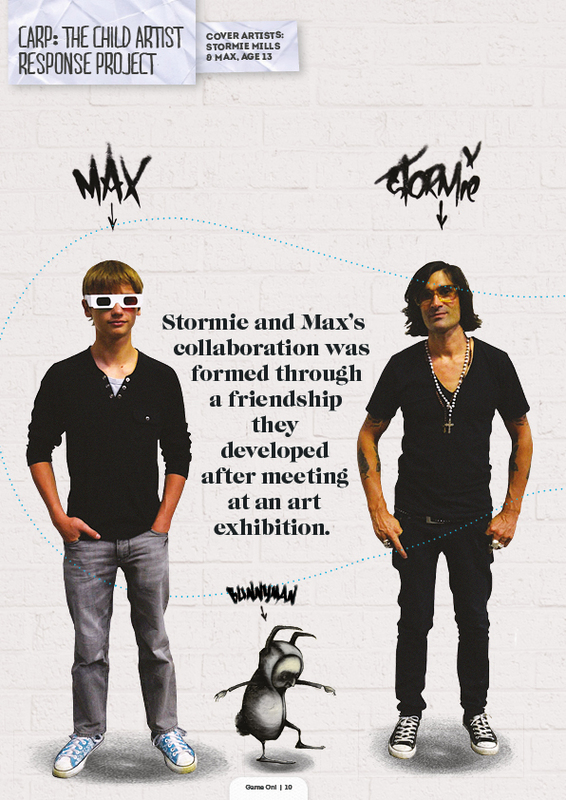 He is the creator of the NOD project and the Indie Rock Colouring Book. Artplay is a unique creative laboratory in Melbourne, Australia that involves children and their families in interactive projects with contemporary artists across a wide range of disciplines. 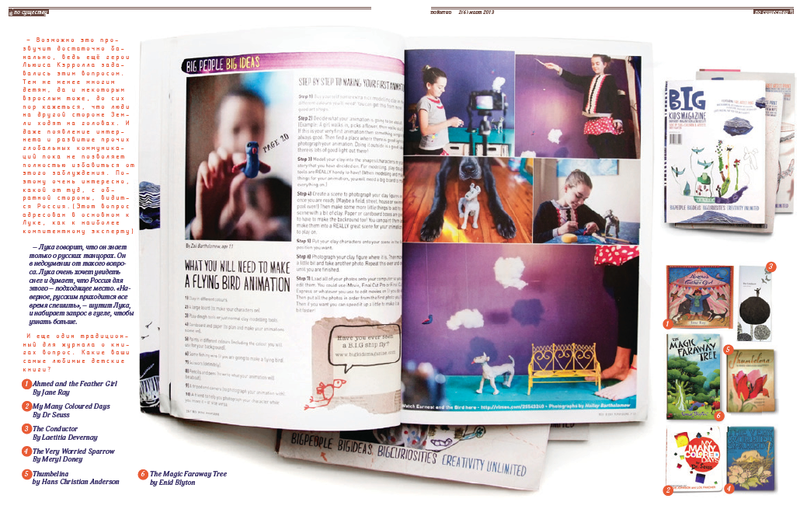 BIG creative consultant Lea Redmond has contributed to each issue of BIG Kids Magazine. 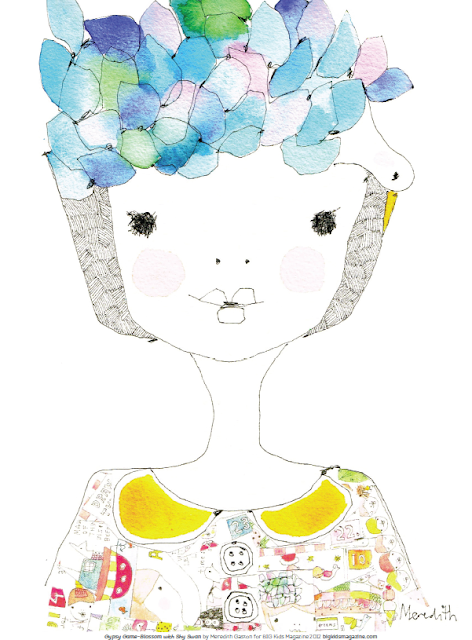 She is the brilliant mind behind Leafcutter designs and the World’s Smallest Postal Service, Oakland, USA. Marcie J Bronstein is a photographer and the creator of Fotoplay, Maine, USA. Marcie’s Fotoplay has just been signed by Chronicle Books. 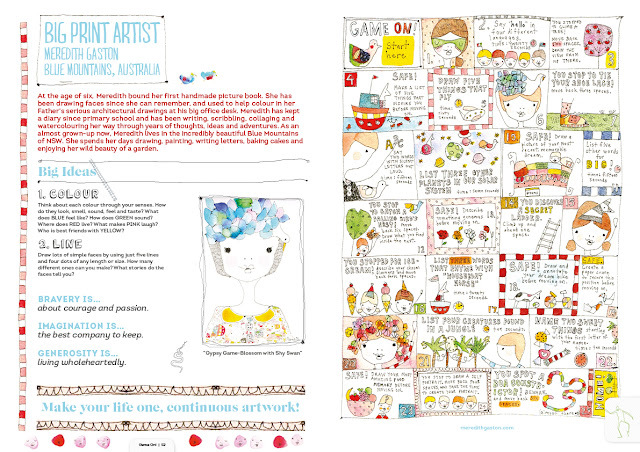 Jo Pollitt and Lilly Blue are artists, collaborators and the creators of BIG things. 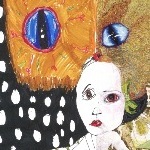 They work responsively to bring the imaginative journey’s of the Grumpi’s and Boatbird to life in each issue. AMAG is an architecture magazine for children created by collaborators working between Finland and Spain. 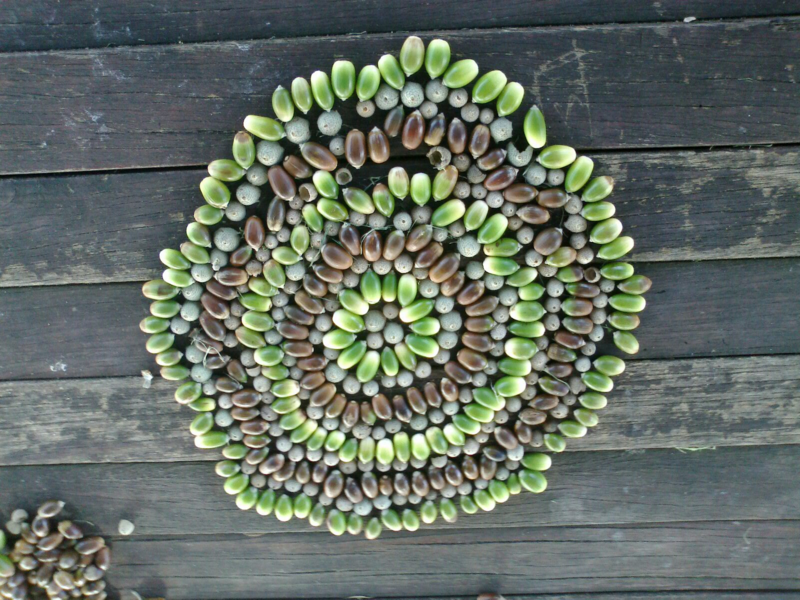 Sohan Ariel Hayes is a film-maker and artist based in Perth, Australia. 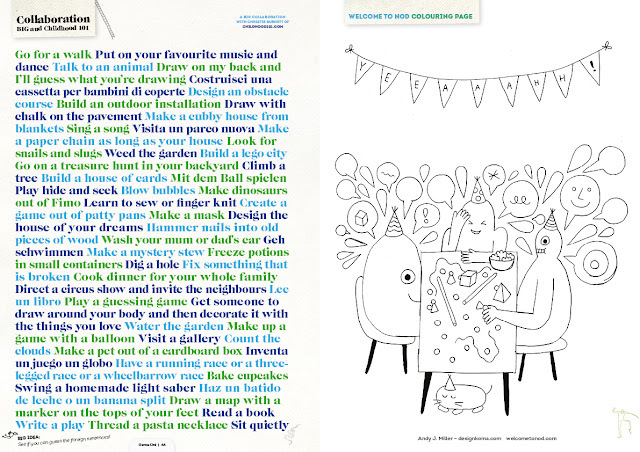 Chrissie Parrott created the corner ‘flip book’ green man especially for Game On! and is a Nationally renowned choreographer based in Perth, Australia. Childhood 101 is an online source of information for modern parents and the brainchild of Christie Burnett who collaborated with us to create a page of ideas and alternatives to screen based play! Jo Ebisujima is a crafter, designer and organiser based in Japan and created a very cool memory card game with her son Ebi-kun age 7. Her work is lead by the Montessori philosophy. Emma Fishwick is an emerging artist mentored by Jo Pollitt through the National JUMP program. Based in Perth, Australia, her work crosses disciplines of dance, design, new media and writing. Tasmanian printmaker and heart traveller Madeleine Goodwolf responded to the beautiful work of Mika, age 5 (Melbourne) in our Child Artist Response Project (CARP). LOVEPUNKS is an online game created by a gang of 9-11 year olds from remote Roeburn, Australia part of the Yijala Yijala project run by Big hART. Claudie Frock, who moonlights as Peggy Pop Art at Lismore Regional Gallery, is featured SIDE BY SIDE with Sasha, age 6 from Singapore both with interpretations of Snakes and Ladders. 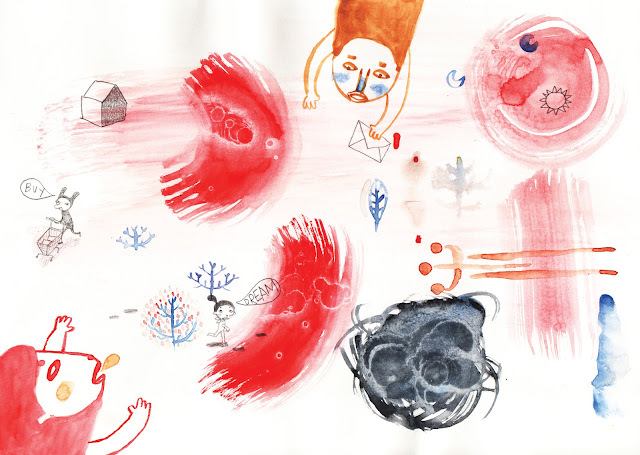 Lisa Cinar, is a an illustrator and writer based in Vancover, Canada responded to a work by Aimee, age 4 in Brisbane, Australia as part of our BIG CARP. 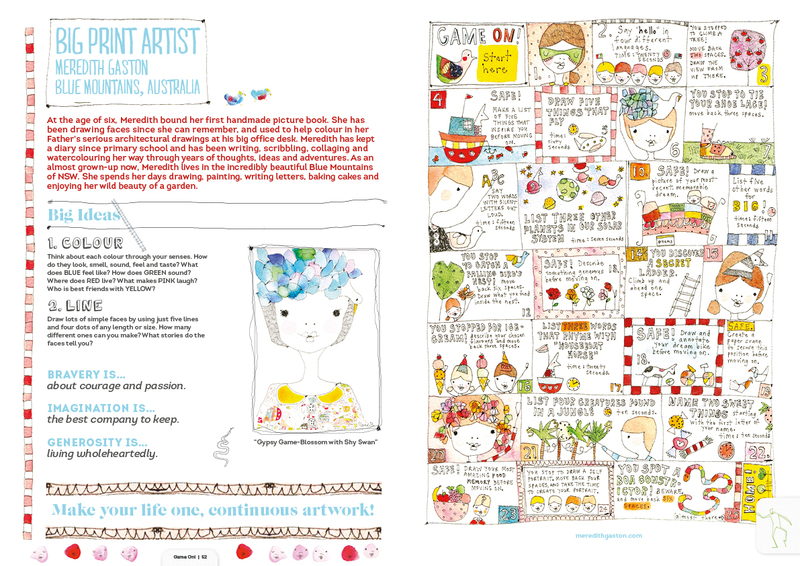 Rebecca Russell is the founder of parents in the arts (PITA) based in Melbourne and artistic collaborator with son Jude age 4. 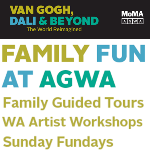 Ruby, age 12 from New Zealand, Elsa, age 9 and Emil, age 5, from Tasmania, Mia age 6, from Sydney, and Jonah, age 11, from Halls Gap are featured and there is a further selection of kids and artists work on the ‘Game Gallery’ page. Here is a sneak peak of the BIG pages…What do you think?! The BIG covers! 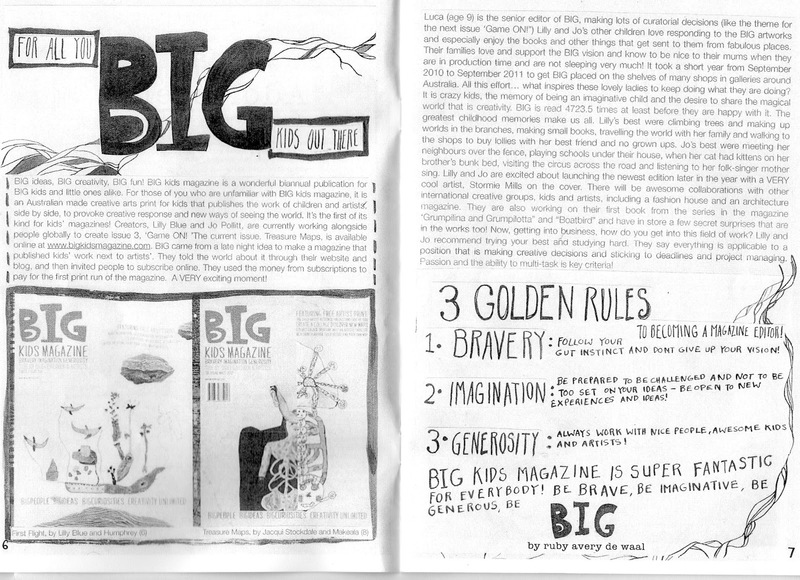 Issue 1: First Flight, Issue 2: Treasure Maps, Issue 3: Game On! Exquisite Corpse by Marcie J Bronstein in collaboration with her husband and son. 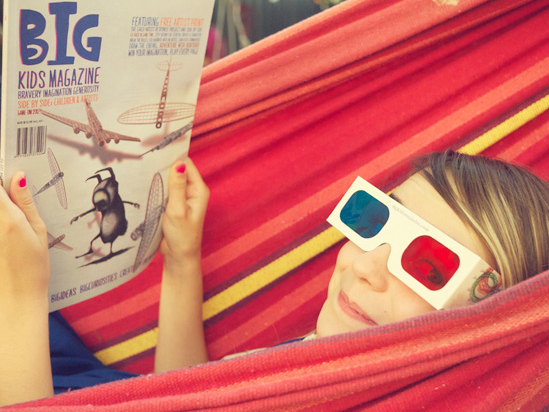 Zali, age 12, has been with us from our very FIRST FLIGHT as the feature writer in all 3 issues. 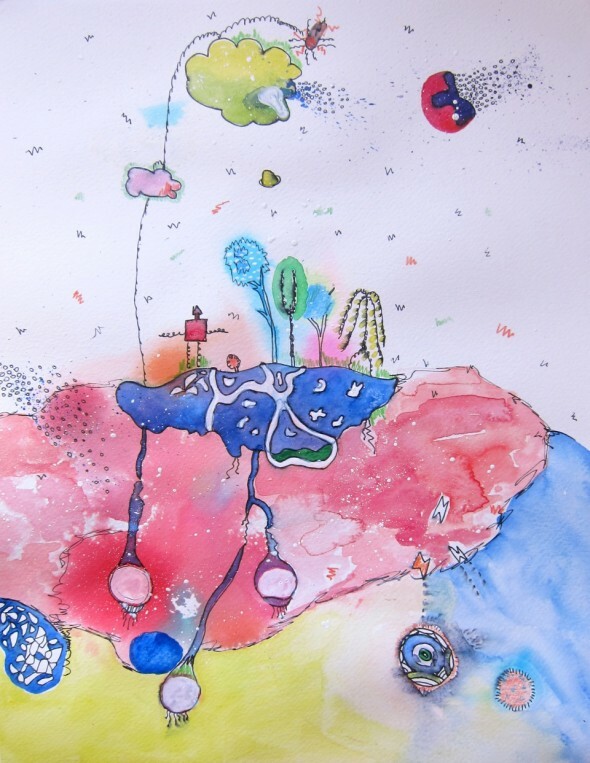 Artwork you can actually play – Meredith Gaston creates Game on! 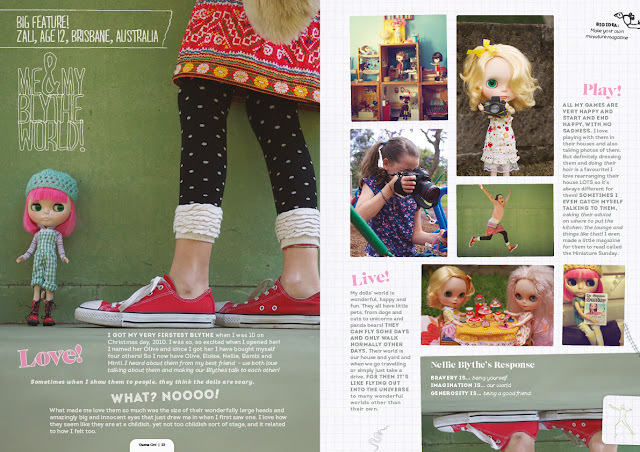 Click here to get BIG Kids Magazine delivered to your door.